Green living is about discovering the many creative, compassionate, economical, smart and sustainable actions you can blend into your everyday life or add to your list of goals in order to help sustain the systems that sustain us and give future generations of all life a brighter welcome into this world. "Going green" isn't about cutting everything out or constantly feeling deprived. It's about creating something better. People often see environmentalism as being less bad, but it's not so much about being less bad as it is being more good. It's about becoming a creative force, not just a less destructive one. It's about improving our health and that of the planet. It's about saving money and learning new things while planning weekend projects to plant a few trees or build a rain garden, green roof or compost. It's about family immersion away from the mundane television and towards activities that strengthen family bonds and improve relationships. It's about protecting and preserving the future for generations to come. When people see environmentalism and "going green" as giving up the things they enjoy, not being able to have everything they want and having to hold back their desires, then no one wants to participate. It's when people realize that we can still have everything we want and that all it takes is to do it in a way that saves us money, protects the environment and improves the overall health and balance of the planet and its inhabitants, that one realizes it's not so bad and more importantly, not so difficult - that we can make the biggest planetary impacts with the least amount of effort. Green living is about bringing a new level of consciousness and awareness to our activities and consumption to give preference for products that are the least exploitative, least toxic and least harmful and steer clear of products linked to environmental, social and health injustices. There is virtually a healthier and more sustainable counterpart to all products and services in the market today, many of which are provided by the Good Guide and Energy Star. More than just conscious consuming, it's about conscious living that connects us to the world we live in through consideration, compassion, care and love in all we do. Incrementally, our everyday actions might be, or at least appear to be, minor in the grand scheme of things, but combined they add up and connect to either propel us forward towards personal, social, economic and ecological prosperity or drag us backwards towards an inevitable scarcity and degradation of ecological services and functions. Whether it's as simple as conserving water or as challenging as switching to renewable energy sources, every day presents endless possibilities as to how we want to shape and see the world - and our place within it. At home and in the workplace is where we spend the majority of our time and therein hold our greatest potential for ongoing sustainable choices and green goals. The following resources offer tips and advice to help you make a positive difference within your own life, for your community, for the lives of others and for the natural world. Perhaps our most powerful tool of change lies within our pockets and in our wallets. Consumerism is the driving force behind virtually everything. The forces of supply and demand ultimately begin with our consumer choices. The following resources offer tips and advice to help you give preference for products that are the least exploitative, least toxic and least harmful and steer clear of products linked to environmental, social and health injustices. Sustainable travel consists of responsible travel practices that focus on economic, socio-cultural, and environmental sustainability and encourages travelers to choose businesses, tour operators, and transportation methods that maintain and preserve the ecological integrity of the environment and contribute to local community development. Whether at home or abroad, the following resources offer tips and advice to help you make a difference within your own life, in your community, for the community you are traveling to or from, for the natural environment and to green your favorite sport! The following resources offer tips and advice to help you green your high-tech and financial activities. By greening schools, homes and buildings, people will be exposed to less toxins, can save money from energy costs and have a safer and healthier environment to dwell in - all while improving the sustainability of a building and reducing environmental harm. The following resources offer tips and advice to help you green your building and school experience. Whether it's deodorant, conditioners or mascara, virtually all beauty and health products have healthier, greener alternatives and exercising methods such as treadmills are no different. The following resources offer tips and advice to help you choose the healthier, more sustainable option for your body and exercise needs! Conscious, sustainable living is about finding creativity and consideration in the hundreds of things we do every day and discovering the environmental stewardship, cost savings and health benefits these creative, new ways of embracing our activities provide for ourselves, our friends, family and for wildlife. You are not just one person too small to make a difference, but a collective source of friends, family and networks where repercussions of your everyday actions spread throughout your social networks, community and world in many ways, on many levels sending messages and voting with your actions, wallet and voice countless times a day as to how you want to shape and see the world and your place within it. 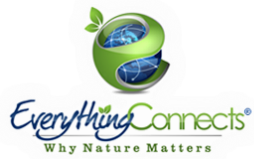 More than just insulating windows or changing light bulbs, green living is about living harmoniously with one another and all other life on Earth, while supporting the very foundation of life - the natural environment. It's not just a product to be bought but a mindset and outlook to be discovered. It's about finding love and grace in all we do - from conserving water to shopping at local farmer's markets. It's about transparency - being able to see through an item, concept or daily activity with the type of intellect and compassion that sheds light on the true cost of a product or service. It doesn't have to constitute major change or a complete shift in lifestyle, but a discovery that all it really takes is sustainable attachments to what we already do. The preservation, creativity and consideration coupled with conscious, sustainable living is cost effective, health enriching and environmentally sound. It invites new experiences and adventures and carries with it a delight in feeling connected to one's social, physical and natural surroundings and to the planet as a whole. It's living as you do today, but with a deeper connection to your world. Being the change you want to see will begin to reflect on those around you and the intrinsic feeling of living a conscious, sustainable lifestyle is one that money simply cannot buy. Reducing your carbon footprint is more than just offsetting carbon emissions. Setting goals to offset your carbon footprint can bring along many benefits. For example, buying organic and locally or even becoming a weekday vegetarian is not only a huge step towards sustainability, but will also save 100 animals from cruelty a year, lead to a lower consumption of pesticides, greater preservation of arable land and an improvement to your health. As this consumer interest chart depicts and as most of us already know - by nature it is instinctively in our genes to focus more on self-serving needs and desires than on collective ones. This is not to say that we are all this way, but it is well rooted within our general psyche as a species. There is no reason or need to fight this desire, for making a positive difference in the world and within our own lives and communities does not necessarily mean having to spend more or give things up. In fact, more times than not it means saving money through preservation and sustainability, especially in the long run and discovering new, creative and beneficial ways of doing what we already do for ourselves and the collective good.